Stylus Pen for kids Compatible with Apple iPad Air Mini Pro, Kids Edition Tablets, Dragon Touch, Galaxy Tab A E, LeapFrog Editions, Android Tablets Smartphones (12 pack) by SyPen at DJ Luu. MPN: SY-PSS-12-A-AMZ. Hurry! Limited time offer. Offer valid only while supplies last. Multi-Function 3-1 , Its a writing Ballpoint pen, Pencil eraser, and a stylus for touch screen devices. 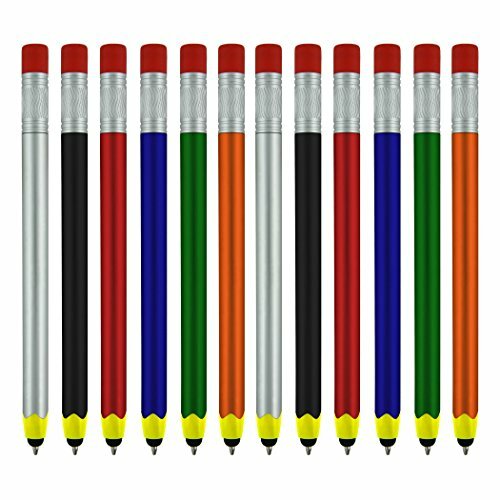 Kids can use this stylus with any app for greater comfort and control while learning!